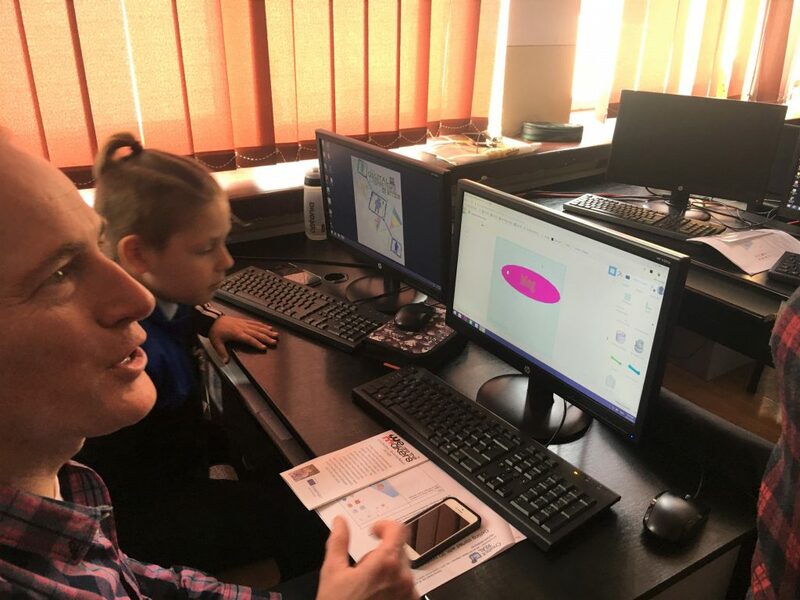 With the project team support, the digital champions of Tudor Vladimirescu School, Targoviste (20 students of 5th to 7th grade), guided 23 European teachers in their first steps on 3D modeling and printing (27th of March). 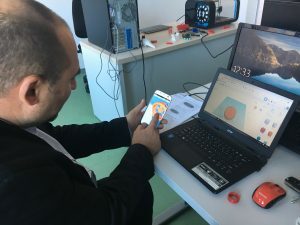 The activity is an indirect result of the participation of 6 teachers from Tudor Vladimirescu School to our workshop, “First steps on 3D modelling and printing”, organized on 19.02.2019. 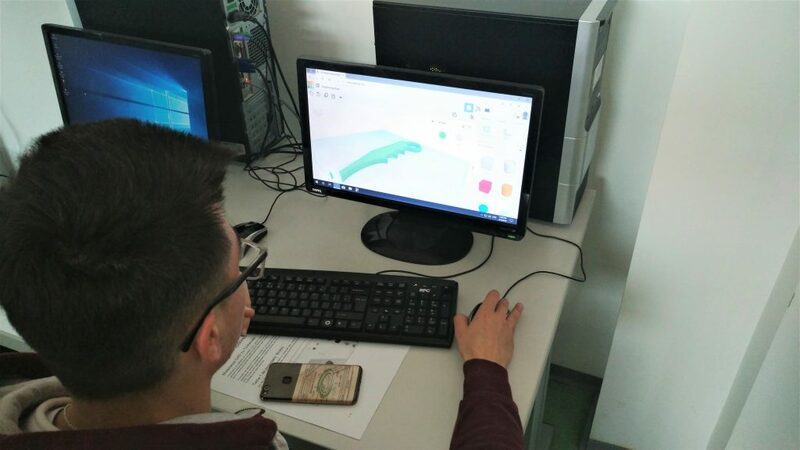 On 7th of March 2019, in Targoviste, Romania, 14 students of 11th grade from Petru Cercel High School have been participated on a Learning Scenario implementation related to 3D printing. 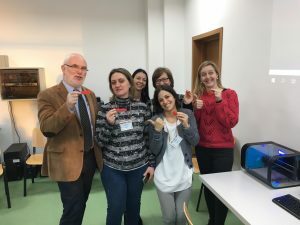 On 19th of February 2019, the Romanian team of our project organized a workshop entitled “Introduction in 3D printing”, for the participants from Romania and other 5 European countries (Belgium, Spain, Wales, Italy and Greece) of another Erasmus + project, entitled “STEAM JAM” (cod 018-1-BE02-KA229-046854_4). 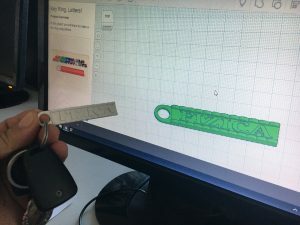 The guests worked for the first time with a 3D modeling software to model custom objects and learned different aspects related to 3D printing when they print their objects. 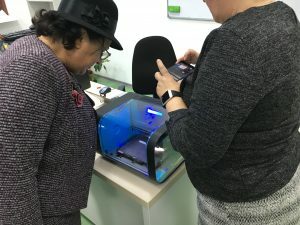 The guests were informed about the existence of educational resources on the project website: the first manual, Educational 3D Printing Manual, and the learning scenarios developed, which integrates 3D printing in school subjects. 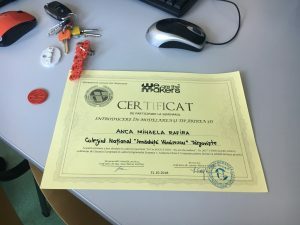 On 20th of December, at Valahia University of Targoviste, it has been done the first implementation in Romania of a learning scenario elaborated in the frame of the project. The activity was done with 15 students of 6th grade from Tudor Valdimirescu School. The students learned the first steps in 3d modelling and printing by creating and printing a name tag. Our team organised a training Course in Genoa on free editor and open source platforms to build learning scenarios on wearable device. 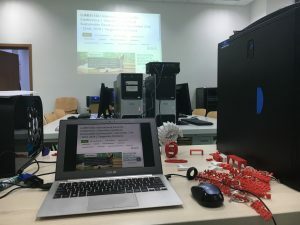 This a video of the first day of the course were our team started to use the Scratch 3 (beta version) with different platform, we started with Lego Wedo 2.0 to learn how to use Scratch and during the last 2 days we introduced Arduino. 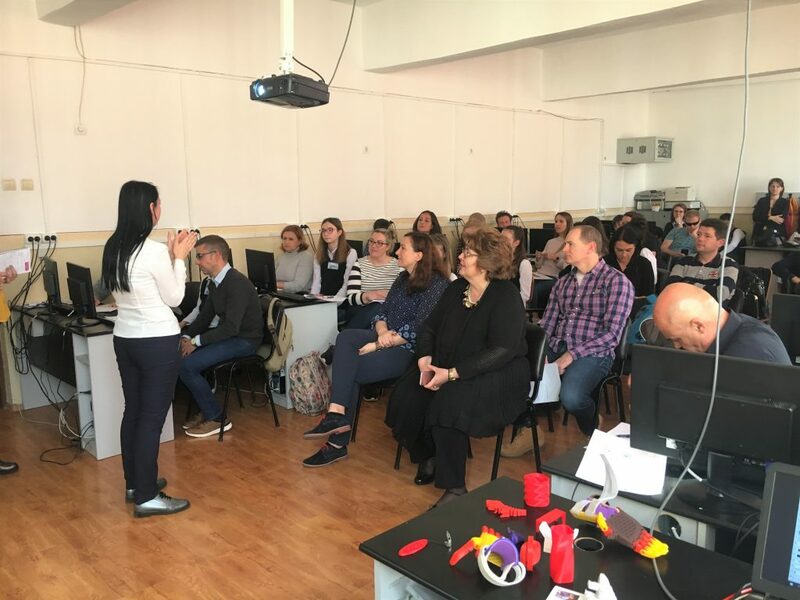 In the frame of the LUMEN EDU International Scientific Conference Education, Quality & Sustainable Development, held on Targoviste, November 21st – 22nd, 2018, the Romanian project team organized an workshop entitled 3D Printing Technology – a New Mean for Improving the Education Experience. The participants, 11 Physics teachers learned how to create and print their first 3d objects. 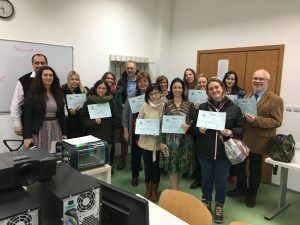 After they hey have been trained in Denmark on using 3D printers, the Romanian project team prepared and organized for testing on 31st of October 2018, a workshop on 3d printing. 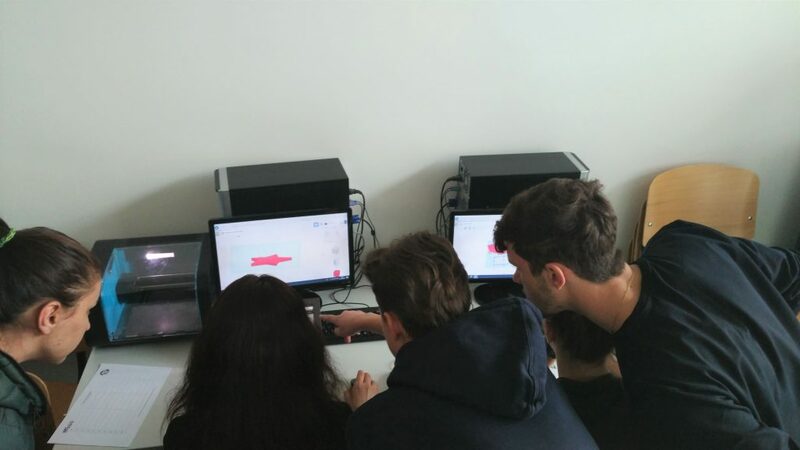 The trainees, 3 Physics teachers and 1 Informatics teacher, have been introduced on 3d modelling using Tinkercad and different 3d printing aspects. 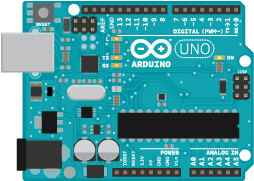 d) Sensors (First part): Gyroscope, accelerometer, tilt sensor, light sensor, magnetometer. The venue will be Madlab 2.0 (via della maddalena 121r in Genoa) the 3d printer and humanoid start up founded by Scuola di Robotica in 2017. 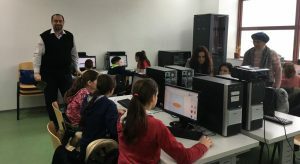 The software that the trainees will use are Scratch, Snap and more. After less than the first year of the project we can present at European Maker Faire the firs Guidelines and Learning Scenarios for teachers! The teacher workshop it will be organized by Scuola di Robotica, the italian partner of the project with the collaboration of Edumotiva. The European Maker Faire is the mot important appointment for all makers all over the Europe and we are very proud to present the first intellectual otuput in this occasion. 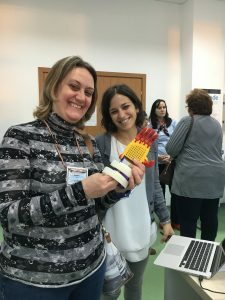 In this workshop will be present a social and educational use of the technology speaking about our project and the Italian Project Touch focused on 3d printed object for unpair vision people. 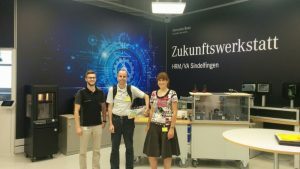 In July 2018, we presented the project at Daimler AG where we exchanged ideas with trainers of car mechatronics who were interested in the social aspect of our project in order to push forward the development of education and training at their company.